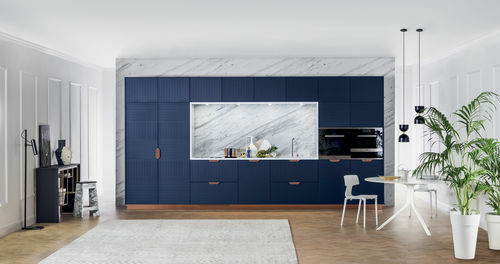 In Lave Cove, one of the Lower North Shore districts of Sydney, a new interpretation of the kitchen space: the architects Patrizia Trento and Michele De Vido thoughtfully combined the models Miuccia and T45 with exclusive bespoken elements. In a cottage dating back to the 30’s situated in a silent village surrounded by nature, a sophisticated work of reconstruction has been done. 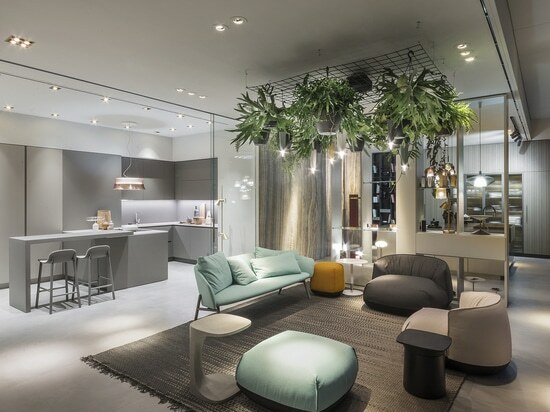 The interiors have been completely reinterpreted with a contemporary approach by inserting precious bespoken elements realized by the best Italian manufactures. The living area, which offers a spectacular view of the park, is dominated by an important angular composition with a soft touch effect lacquered island and columns in “Rovere con nodi a spacco” oak wood. 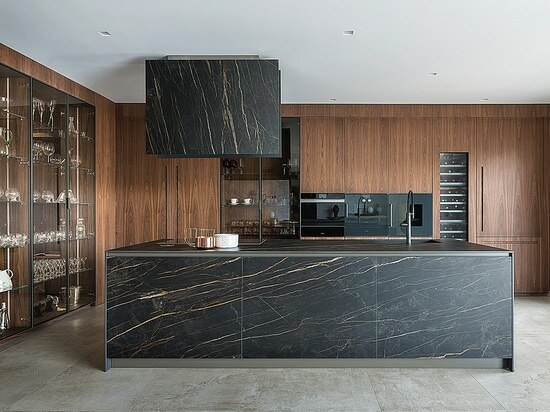 The worktops are made of “Volakas” stone with assembled double sink on the island and with a built-in burner hob on the suspended bases. 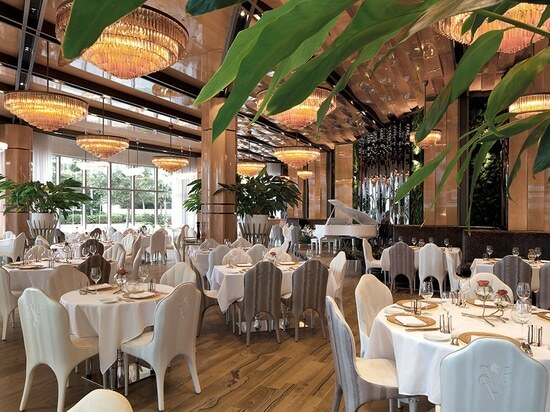 The sophisticated matching of materials is completed by handles and slides in “Rame” polished copper, while the overhanging snack bar is in “Rovere con nodi a spacco” oak wood, the same of the T45 full-height columns . 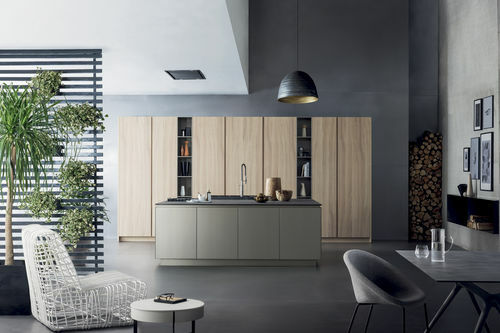 Exclusive bespoken elements like the built-in hood structure and the TV structure (both in “Rovere con nodi a spacco” oak wood) represents the Italian way to make every project unique.